Hey all, I’m back! 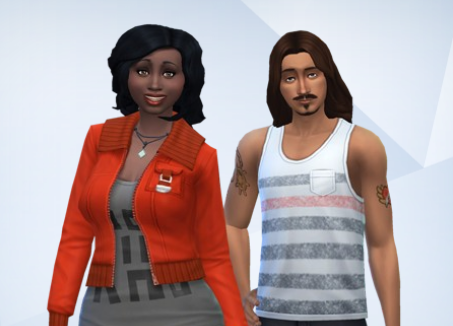 The real world was just too distracting this week for me to play Sims. 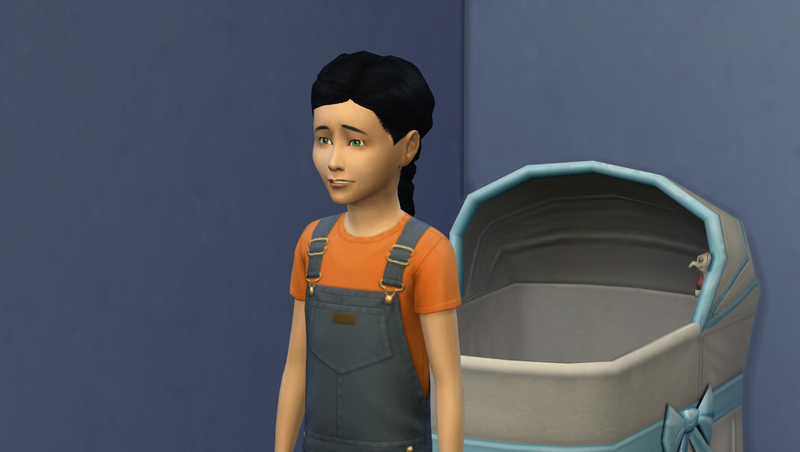 However, I am DETERMINED to finish this Legacy! I’ve come too far to give it up. Anyway, I’ve had this in drafts with just pictures since November 8th. Yikes. I hope I can do this chapter justice. I think I almost remember everyone’s names (only one in this post escapes me currently) but I’ll check before posting (unless I don’t 😛). 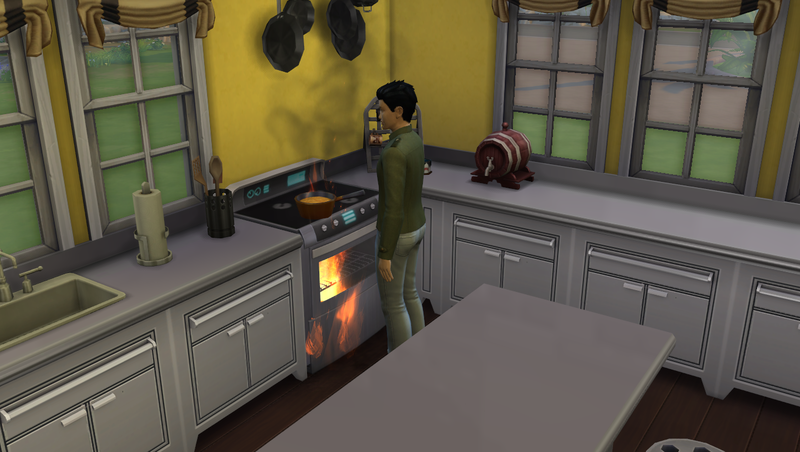 Hiro is remembering his late father by starting a fire in the kitchen. Thanks, bud! Tachi seems amused by his brother’s misfortune. I’m not! The insurance money to replace the counter and stove was only a third of what they cost! Rude! This next one is funny because Rei came to visit and stuck around for breakfast. Hiro sat right where she was. What?! After school, Tachi took a nap in his mother’s room for some reason (I wasn’t paying attention). 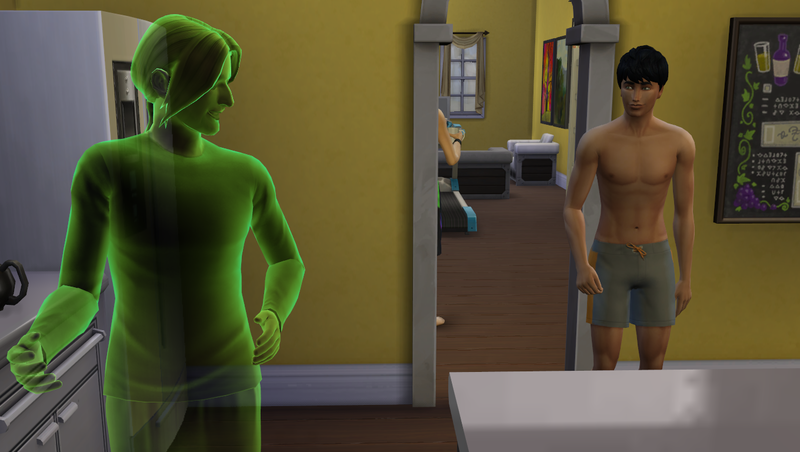 Later, he surprised me by leaping out of bed and aging into a young adult. Way to be, Tachi. 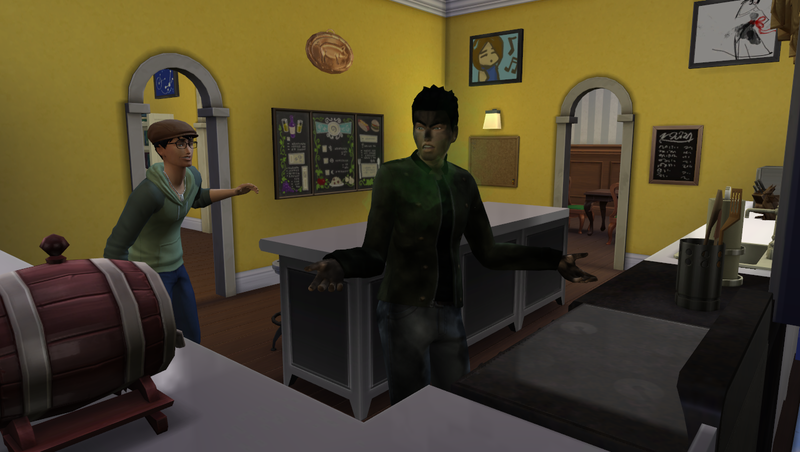 Adriel’s ghost came for a visit that evening shortly after Tachi’s birthay. He’s still handsome even after an elderly demise. Also, can I mention how fit Tachi is looking? For being lazy he still works out all the time! Hiro was less excited to see his dad. 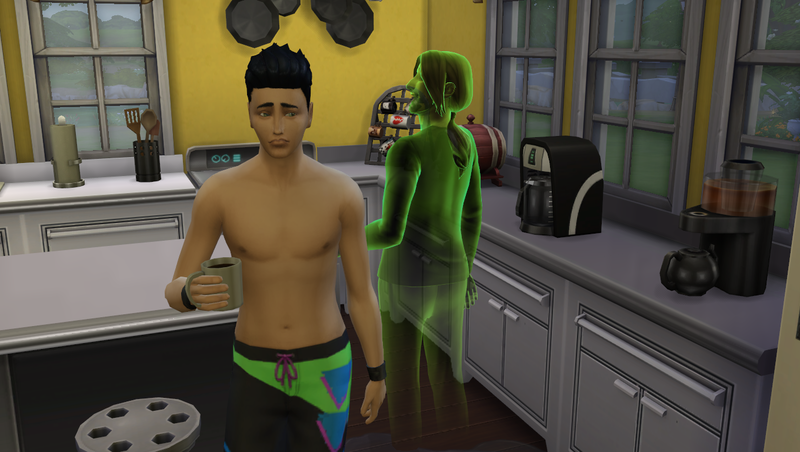 I guess some sims just don’t care for seeing ghosts all over the place. 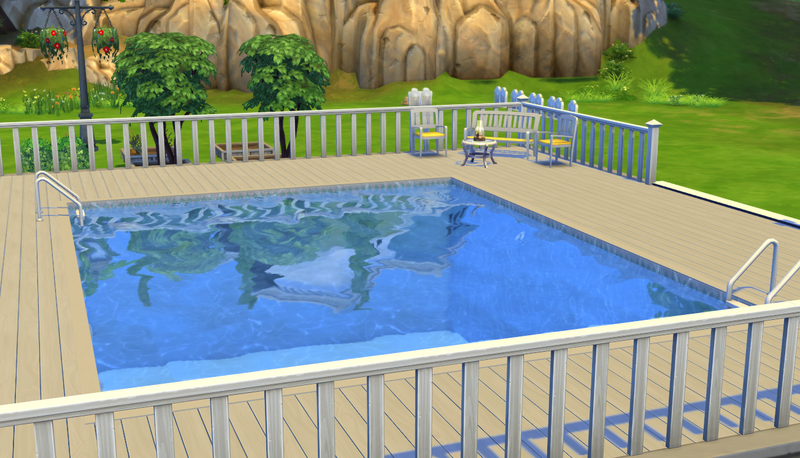 Here was something funny I noticed: I never paid attention but sims have streams of pee! 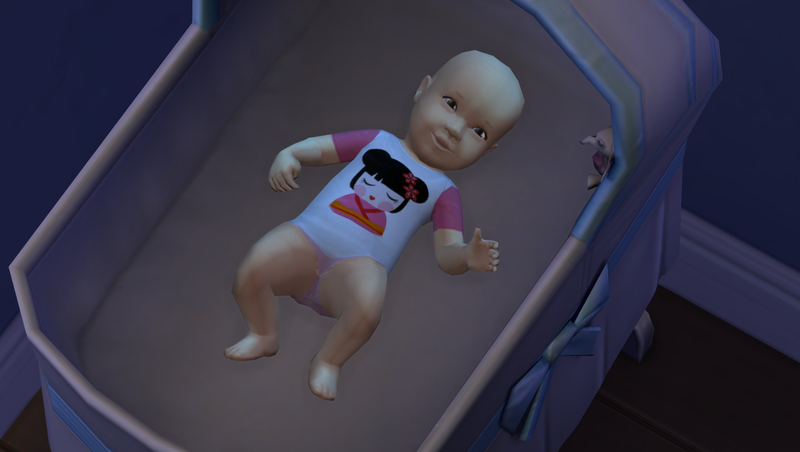 All things considered, the family seems to have recovered from Adriel’s death pretty well. 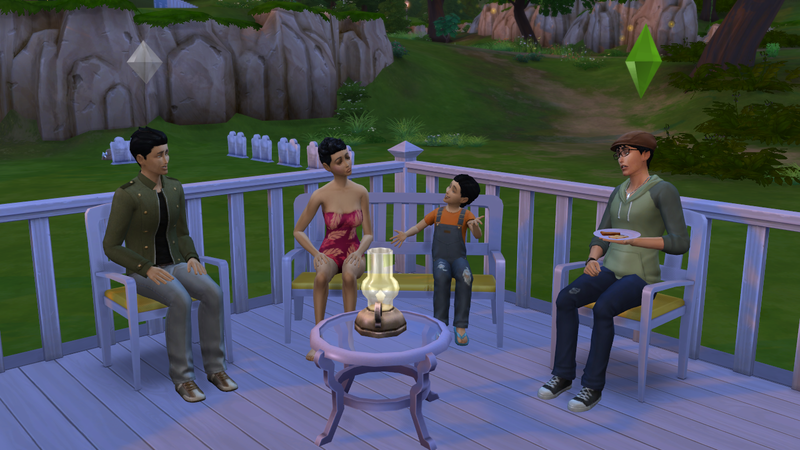 They’re enjoying their new deck and still tending that damn garden. It really does help them with the bills.